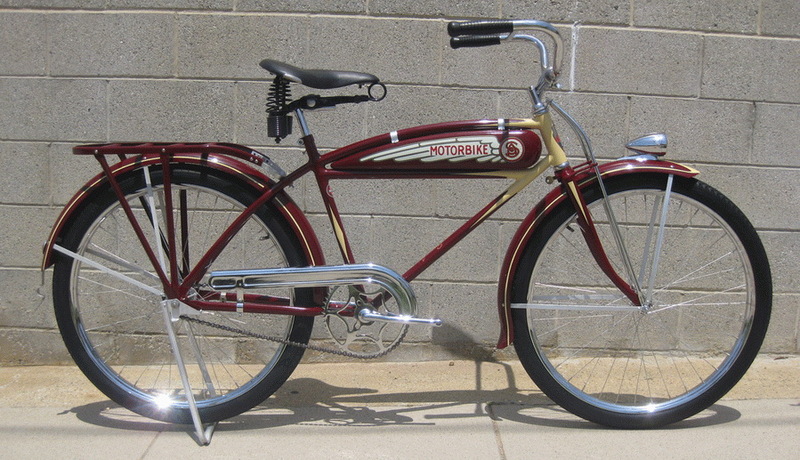 1936 Schwinn Excelsior Motorbike. Interesting story behind this restoration. 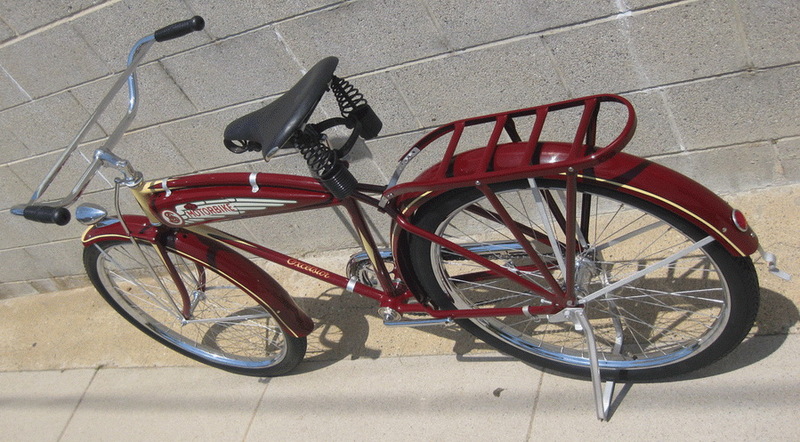 The owner of this bicycle sourced all the parts for the build from eBay and private collectors. 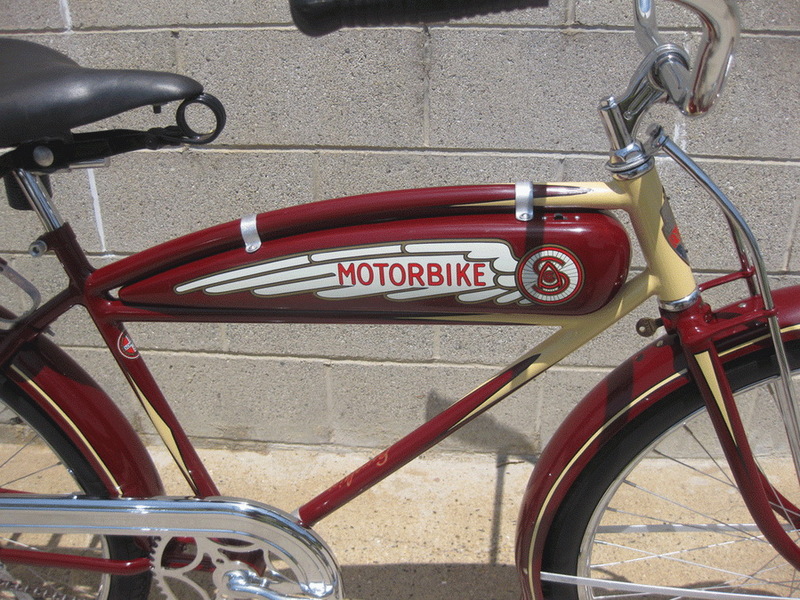 His inspiration was the 1936 Schwinn Motorbike on display at the Schwinn museum (before it closed) and featured in the American Bicyclist book. 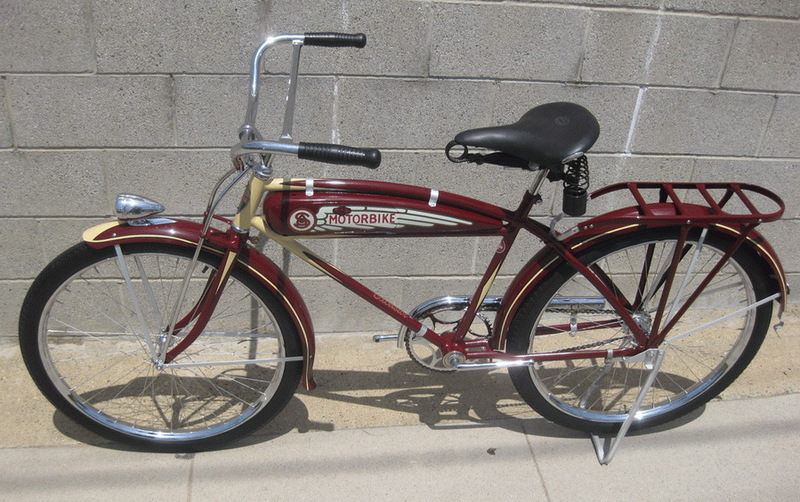 Exact color match was provided from nice original parts and the Vanilla Cream accents, which are unusual and a 1930’s variation on what was to eventually become Schwinn Ivory. Delta Silver Ray headlight, original hanging toolbox tank and Aerocycle rack are a few of the very rare ingredients creating this petite fendered 1936 Schwinn “MotorBike”. Total and complete restoration including early profile Drop Center rims, Gillette Bear tires and long spring Mesinger Deluxe saddle. 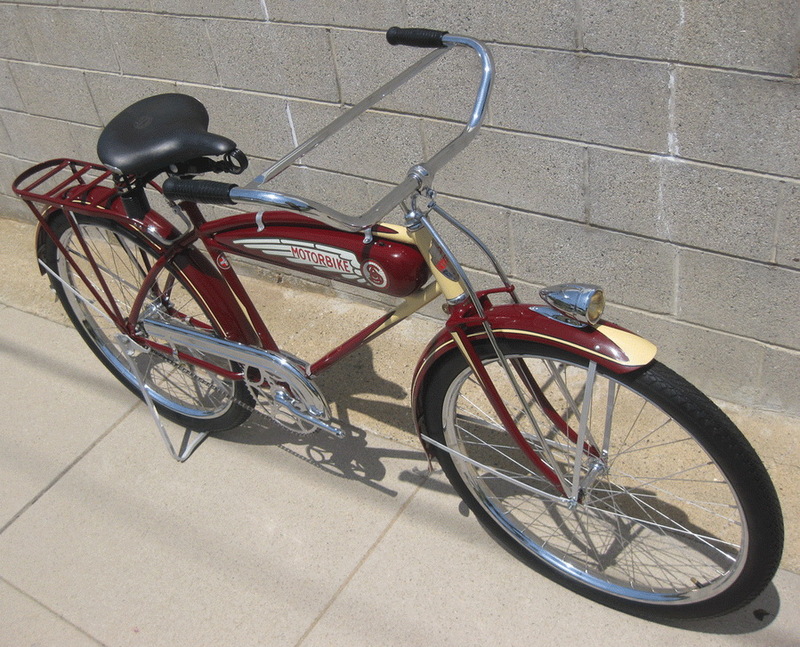 Restoration by Bob Usasi, Schwinn restoration specialist.